Activities | Luxury Game Lodge, Conference Center and Function Venue. Situated in the heart of the Karoo. game Lodge accommodation at its best. The lodge is geared to provide our guests with fun-filled activities and adventures. There are 12-seater open Land Rover game vehicles, offering day and night game drives. One can also enjoy the rich game viewing experience at Koffylaagte with guided safari walks and horseback safaris. 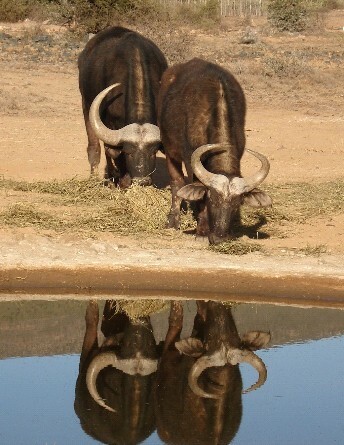 Koffylaagte Game Lodge actively contributes to sustainable wildlife conservancy by breeding game species. Breeding programmes include species such as White Rhinoceros, Cape Buffalo, Giraffe, Burchells Zebra, as well as some rare antelope species such as Nyala, Waterbok and Lechwe. Depending on the availability of such breeding programmes on site, guests may participate in close animal handling, feeding or veterinary attention given to the animals during captivity stage. The morning drive starts around 9am and the afternoon drive starts around 4pm. 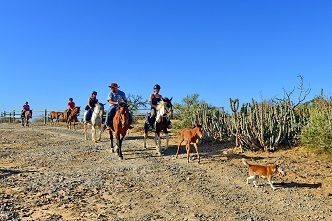 These drives are approximately 2 hours and concentrate on the unique fauna and flora, history and wildlife on the farm. Diurnal animals one can anticipate seeing; giraffe, zebra, eland, impala, warthog, nyala, springbok, waterbuck, baboons, gemsbuck, mountain reibuck, rhino, meerkat and vervet monkey. Our night drives are approx. 90mins and have the added bonus of a magical starlit sky and nocturnal animals one can anticipate seeing include; porcupine, bat eared fox, the illusive aardvark, black backed jackal, striped pole cat and cape spotted eagle owls. Our guided walks are approx. 2 hours and are comfortable and informative. Join us in experiencing the Karoo on foot and learn about how bushmen used their surroundings to survive. Our hike is approx. 3 hours and is aimed for the view seekers. It takes you to the top of some of the best viewing spots on the farm, looking down on Koffylaagte to get a bird’s eye view of the Karoo Heartland. Please click here for more information regarding the costs and duration of these activities. Click Here to check on availability, or to make a booking. Female giraffes give birth standing up and their young may drop several feet to the ground as they are being born. They are protected by the sac though and this keeps them from being harmed during that process. A newborn is about 6 feet tall! 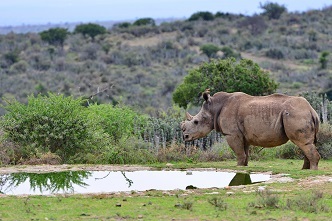 Rhinos have poor eyesight, but very well-developed senses of olfaction (smell) and hearing. A rhino has difficulty detecting someone standing only a hundred feet away if the individual remains still. However, if the person makes the faintest sound or the rhino is able to smell the person, it will easily detect him, even at much greater distances. The olfactory portion is the largest area of the rhino’s brain.